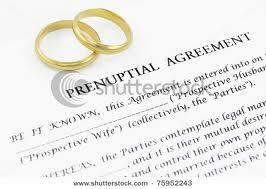 A premarital agreement (also known as an antenuptial or prenuptial agreement) is a contract between intended spouses made in contemplation of marriage. The premarital agreement dates back to sixteenth century England. Although Oklahoma statutes recognize in general the validity of premarital agreements, case law has changed over time as to the allowable subject matter of such agreements. To put in writing the disclosure and discussion by the parties about their respective estates, and expectations as to how those separate estates will be managed during the marriage. To prevent undue surprise between spouses, including the economic aspects of new relationships both during marriage, and upon termination by dissolution or divorce. Negotiating a premarital agreement with your intended can be a positive thing. It will be a benchmark for how you will handle difficult conversations after you’re married. It will foster a sense of full disclosure and fair play. Properly negotiated and drawn, a premarital agreement can strengthen the marriage relationship. Imagine yourself as a single mother. You want to collect child support from the only man you’ve been with, but the DNA testing lab whose test will prove him as the father messes up the test – not once but twice. You might want to assert a claim against the DNA lab. Despite the best efforts of one lab facing those claims, the Oklahoma Supreme Court this month allowed such a lawsuit to proceed. In Berman v. Laboratory Corporation of America, the Oklahoma Department of Human Services (DHS), in an administrative proceeding, arranged for the Defendant, LabCorp, Inc. (LabCorp), to perform a DNA test to determine parentage of Berman’s child. LabCorp ran two tests, and both excluded the alleged father as a parent. DHS dropped its administrative case. Berman sent the samples to a second lab, which determined that the alleged father was the other parent to Berman’s child. Berman then brought a private parentage proceeding, using the new tests as evidence. the trial court determined the father’s status as parent and set his child support obligation. Berman filed suit against LabCorp claiming it negligently performed the DNA testing. She claimed the company switched ID numbers for the first test, then corrected the ID number but used the same incorrect sample for the second test. LabCorp convinced a trial court to dismiss the case, claiming the lab reports were privileged communications in a legal proceeding. The Oklahoma Supreme Court saw it otherwise. It determined that reporting negligent test results did not insulate LabCorp from negligence in performing the test. The Supreme Court held that LabCorp owed a duty to Berman to accurately perform DNA testing to determine the parentage of her child. The Court remanded the case for trial. The Uniform Parentage Act specifically provides for genetic testing to determine parentage. All the cited statutes and court decisions were passed or decided within the last 10 years. 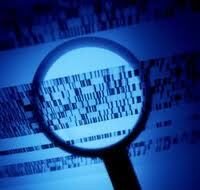 DNA is not the only evidence, but it is often the strongest evidence in a given case. Inaccurate test results could deal a devastating blow to those who otherwise have no ability to prove their cases on their own. The Berman decision establishes that this risk is foreseeable, and testing labs have a duty to prevent that risk of harm.